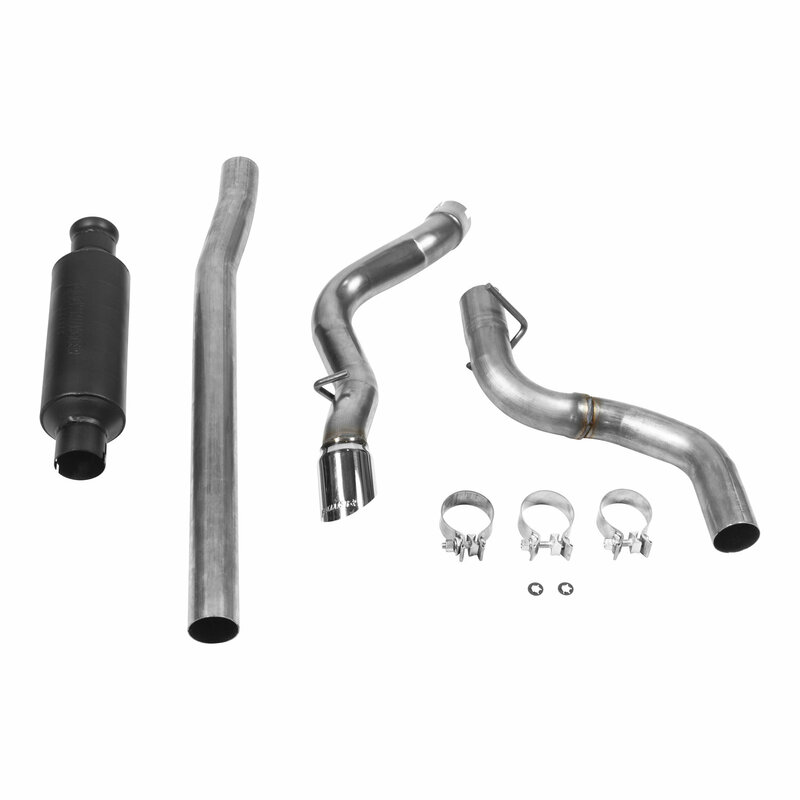 If you want an aggressive sounding exhaust for your Wrangler JL but are also looking for a good amount of ground clearance for those high angled trails Flowmaster's Outlaw Cat-Back is a great option to upgrade your exhaust system. When designing this cat-back they had taking your Jeep off road in mind. First things first they relocated the muffler to tuck up behind the catalytic converter then the single tailpipe is tucked up high to give you maximum clearance for your trail rides. Finished off with a 3" polished tip giving you a head turning aggressive sound that will let people know you are coming. 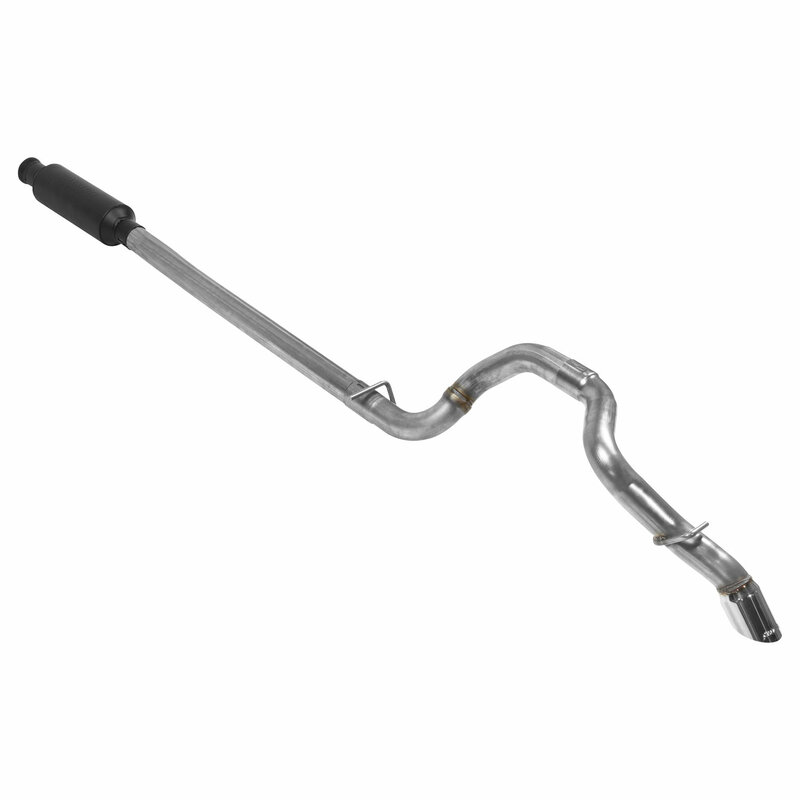 Full Mandrel Bent Pipe: Is a process that allows the pipe to bend without creases or folds while preventing your exhaust tube flattening. 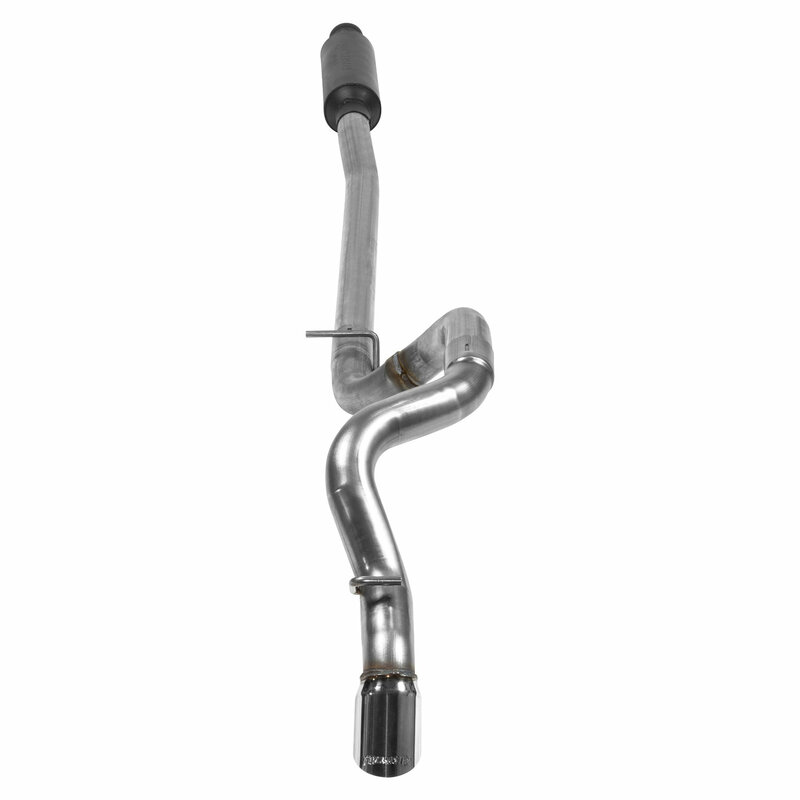 This also allows for exhaust gas to flow more freely with less restrictions versus a stock exhaust system leading to more horsepower and better performance. 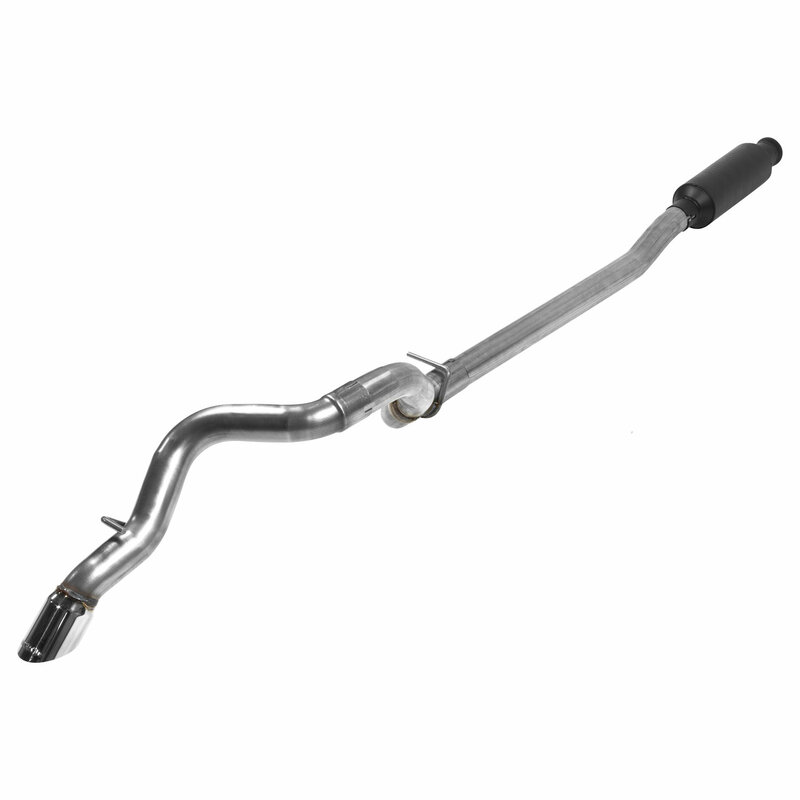 High Clearance Muffler & Tip: Gives you peace of mind when taking on those high angled inclines or declines knowing that you will not smash up your tailpipe tip or muffler. Easy Installation: Simple bolt on installation coming with everything you need to turn your Wrangler JL into a trail stomping machine.